One of the popular and hard-to-solve problems in arable farming is the enrichment and improvement of the fertility of solonetz soils, since such soils in the underlying rock have a high content of sodium in their composition, or they have been salinized with the alkaline groundwater. The most unfavorable option is deemed the permanent formation of solonetzic soils, since the groundwater level often rises. Solonetzic soils are common in regions with arid climatic conditions, as well as in the terraces of river valleys. The high content of sodium, as already mentioned above, is one of the detrimental factors. It is because of this chemical element that the soil loses its fertile properties and is characterized by high alkalinity. After the precipitation event in the form of rains and showers, the structure of such soil is strongly violated; it becomes tough and sticky, and in drought periods of time it becomes too dense and dry, that is, not adapted for growing agricultural crops. Innovative solutions in the field of organic natural fertilizers help to solve the problem connected with the solonetz soil fertility. Such technologies are very popular in the Arabian region, as the level of the land fertility catastrophically falls every year. According to recent reports, the territory, whose area is approximately equal to the half of South America, has turned into the arid desert. If to turn to historical documents, we can observe that they provide us with the following data: from dawn of time, the Sahara and the Arabian Desert were infused with rivers and lakes, and a part of their territories was covered with plants. The reasons for such changes are not known reliably, however this trend may threaten the whole world with the food crisis in the future. Some people believe that depleted soils of the desert cannot be improved in the physical and chemical respect. But this opinion can be daringly considered as erroneous. 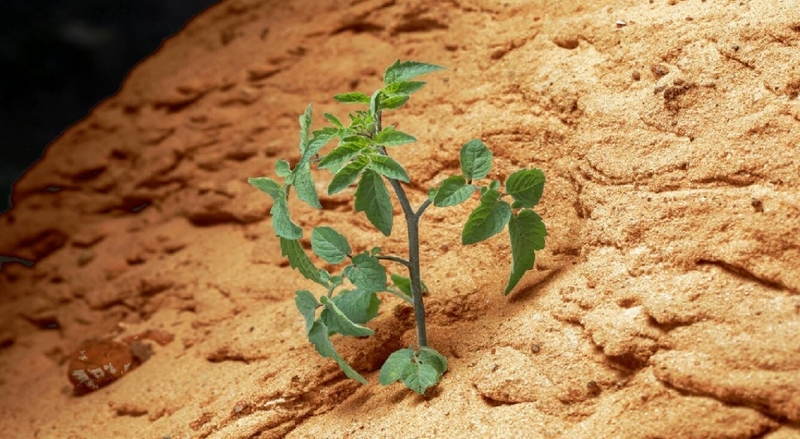 In the course of its scientific experiments, SYNAGRA GROUP Company has developed and created the special organic fertilizers, which favorably affect the fertility of desert soils. SYNAGRA GROUP successfully cooperates with the countries that fight against solonetz soils, such as the United Arab Emirates, Mali and the Congo. These are the countries where the most part of territories cannot be called favorable for agriculture. Our developments are aimed at to trigger the mechanism of accumulating humus in the soil for several months, thereby raising the quality of the soil to the required level. Organic fertilizers improve the nutrition of plants, and even in the most drought periods, fields processed with our preparations will bring much more yield than fields treated with mineral fertilizers and pesticides. The key aspect for the improvement of the soil physical properties in arid regions is the systematic application of organic fertilizers. Our products improve the structure of desert soils, enhance air permeability and water permeability and ameliorate the gaseous interchange process. SYNAGRA GROUP applies the multi-year knowledge and experience as well as has a number of unique researches for growing a larger amount of the yield on the limited territory under completely different climatic conditions up to extreme ones, and on the most depleted soils. For more information about our developments and products, you can contact our professional consultants. SYNAGRA GROUP LLC works with an affiliated company DJALA GOLD LLC for Ukraine market. For detailed information, please visit web site djala-gold.com.